Running with a club will make you a better runner in lots of ways. Your technique, pace, and speed will all benefit when you have more people to run with. And you’ll learn more about how to structure your training to make progress. Your club might have access to a running track and offer weekly track sessions. Other members of the club will be able to review your posture, stride, and technique in ways you can never do yourself. They might notice areas of your training that could do with more focus. Running by yourself is one appealing aspect about this hobby. But being part of a running club means you don’t always have to be a lone runner. A running club is like a ready-made group of friends. 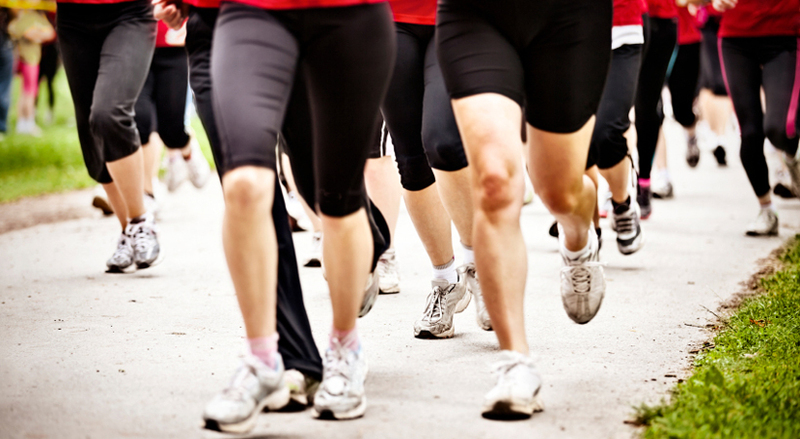 Running clubs welcome men and women from all walks of life, so you will meet a wide range of people. But you’ll all have one important thing in common, so there will be no need for an ice-breaker! Club nights are sociable, and everyone will be keen to help you out, share tips about running in the local area, and swap stories about local races. Even if you’ve been running in your local area for years, chances are you haven’t yet discovered all the great running routes. Most of us get stuck in our ways. And it can be difficult to explore longer routes or off-road runs when we’re alone. Join a club to freshen up your running routines. You’ll discover new routes on your doorstep, amazing local off-road runs, and great places to do hill reps and sprints. If you’re training for a race in 2017, a running club will be a great help. From the practical to the emotional, there’s plenty of support on offer. Clubs are clued up about the local and national race calendar and there will be a small section of the club dedicated to major races like the London Marathon. Whatever race you’re training for, you’ll benefit from the structured training and advice on pacing. Your club might even offer extras like workshops and talks on race-day topics. One of the biggest benefits of running with a club is the power of the group. Running club members will enjoy benefits like in-house talks from experts, and trips to training events. Your club might hold its own club championships, giving you the chance to compete at distances – like the mile – which just aren’t available outside a club environment. Many clubs receive a set number of entries to major races like the London Marathon, making it easier for you to get into popular races. Club members might get discounts at running shops or with local physios. If your club sends out a newsletter, you’ll be the first to hear about races. And your club will probably hold club awards throughout the year, so you could end up with a “Best Female Improver” medal at the end of the year!